The following is a letter from the NGWRC (www.ngwrc.org) to House Veterans’ Affairs Committee chair, Rep. Bob Filner, regarding the NGWRC’s legislative agenda for veterans of the 1991 Gulf War. 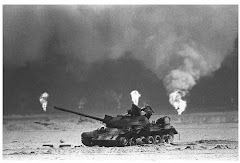 The National Gulf War Resource Center (NGWRC) appreciates the opportunity to submit a written statement for the record regarding our priorities for the second session of the 111th Congress. The NGWRC is a non-profit organization based in Topeka, Kansas, focusing on issues related to Gulf War illnesses. We have testified regularly before the House Veterans’ Affairs Committee since 1995, when we were first formed in Washington, DC. The NGWRC leads the battle in identifying problems facing Gulf War veterans and their families and finding practical solutions. 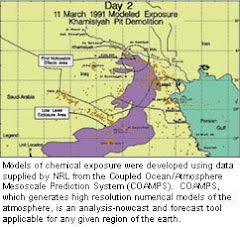 Using the Freedom of Information Act, NGWRC forced the Department of Defense to confirm hundreds of thousands of our fellow veterans who were exposed to toxins during Desert Shield / Desert Storm, including oil well fire pollution, depleted uranium, chemical warfare agents, anthrax vaccines, pyridostigmine bromide pills, pesticides, and others. NGWRC also led the legislative efforts to fund medical research at the Department of Veterans Affairs, to provide service-connected disability benefits for undiagnosed illnesses, and the creation of VA’s Research Advisory Committee on Gulf War Illnesses. Our statement for the record is limited to our top four best ways Congress can assist our Nation’s 700,000 Desert Storm veterans from 1991 and those who entered Southwest Asia since 1991. The NGWRC asks the House Veterans’ Affairs Committee to work closely with the House Armed Services Committee and the House Appropriations Committee to budget and then appropriate $30,000,000 for the purpose of funding treatments for the estimated 200,000 Gulf War veterans suffering from chronic multi-symptom illnesses. We would like $10,000,000 of the funding to go to Dr. Haley’s research being done in Texas. The Congress approved $75,000,000 for his research at UTSWMC over a five year time frame. With the VA now redirecting the funding to different studies, the last of Dr Haley’s studies needing to be completed, this money is needed now. To see the importance of the finding, we also ask that you do a joint hearing to hear from Dr. Haley on what his research has found and how it will help the veterans. NGWRC supports the program because the DoD Congressionally Directed Medical Research Program is an innovative, open, peer reviewed program focused on identifying effective treatments, with first priority for pilot studies of treatments already approved for other diseases, so they could be put to use immediately. Nearly 20 years since the start of the war, one-third to one-fourth Gulf War veterans continue to suffer from chronic multi-symptom illness according to the November 2008 report on Gulf War Illness, and there are still no effective treatments. Congress approved $8 million in 2010, and the first phase of the program resulted in over 100 applications for treatment studies, of which five were approved. The bottom line for Gulf War veterans since their return home from combat, is to find ways to improve their health. NGWRC second request is that Congress remove the presumptive deadlines in the CFR 38 section 1117. By removing the deadline for gulf war illness, you would be doing what was done for the veterans of Vietnam and their exposure to Agent Orange. NGWRC’s third request is that Congress enacts legislation granting a presumption of service connection for our Gulf War veterans who deployed to the war zone and who are diagnosed with auto-immune diseases, such as multiple sclerosis (MS), Parkinson’s disease and auto-immune diseases that act like MS but can not be diagnosed as MS yet. VA has granted service connection based on the Secretary’s authority under existing regulations. These grants should be made permanent for existing and future veterans so that these very sick and highly vulnerable veterans aren’t needlessly forced to fight diligently when the science is so clear. The VA November 2008 report does show the three leading causes for the chronic multi-symptom illnesses are chemicals. We are just now starting to understand how these chemicals cause these different auto-immune disorders. While strong evidence linked ALS and brain cancer to Gulf War deployment, we believe the research on auto-immune disorders similar to ALS shows the same results. NGWRC’s fourth request is that Congress enacts legislation that would add to the CFR title 38 a set way for all raters to be trained and tested on undiagnosed illness and Post Traumatic Stress claims. Being a presumptive for their service in the gulf, the veteran only needs to show they served in the gulf and that they have the illness on or before 31 December 2011. In the last 2 months we have worked with over 200 veterans where the regional office has denied the claim stating that it did not start in service. This is one example of many more claim we have worked around our country. We need a mandatory training program set up for all adjudicators and their supervisor to attend. By making it mandatory we will take care of a large problem of many adjudicators not going to any training after they get their job. As a part of this training, there needs to be a closed book test on the classes. Everyone that fails the test will need to redo the class and take the test until they pass. Once an adjudicator is certified to work an undiagnosed, TBI or PTSD claim, then that adjudicator will be allowed to rate those types of claims. There should also be a quality control system so that as an adjudicator’s claim comes back either as a notice of disagreement or as a remand, the adjudicator must be trained in that area again and retested. As before he will need to pass the test before he can rate claims in that area. In conclusion, the NGWRC would like to thank you for their continued interest in this important subject. We regret we are not able to appear in person. We look forward to working with you on these critical issues identified here as well as on other issues impacting our Gulf War, Iraq War, and Afghanistan War veterans and their immediate access to VA’s high-quality healthcare and the prompt receipt of disability compensation benefits.